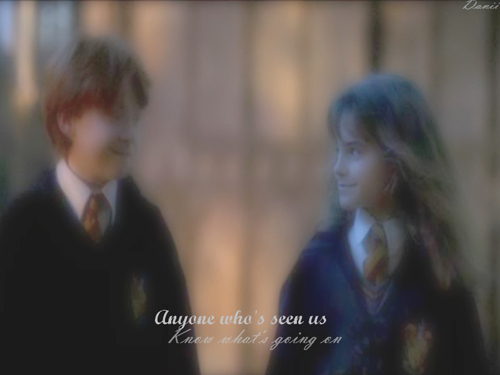 Ron&Hermione <3. . Wallpaper and background images in the romione club tagged: romione ron weasley hermione granger ron hermione. This romione fan art might contain traje de passeio, terno de negócio, instituição penal, facilidade penal, and penal facilidade.